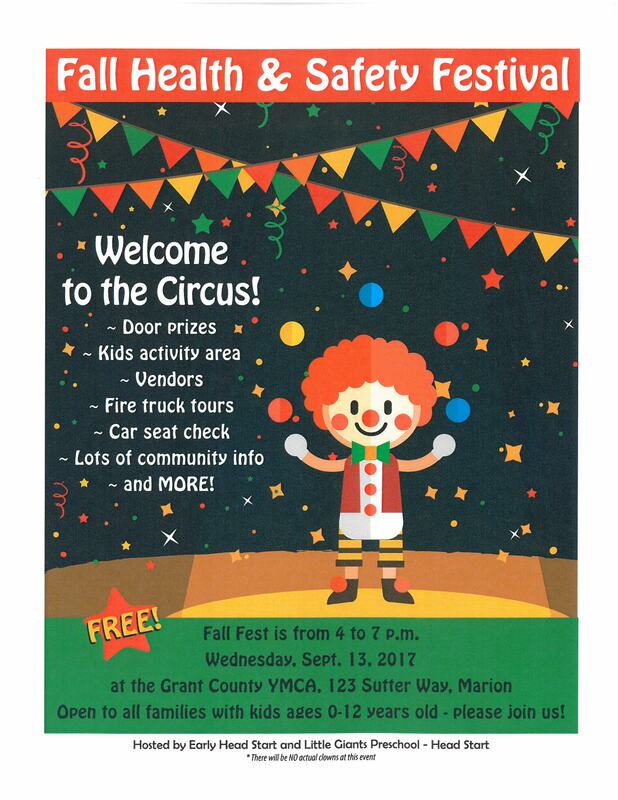 Early Head Start and Little Giants Preschool will conduct a Fall Health & Safety Festival Sept. 13 at Grant County YMCA in Marion. There will be door prizes, a children’s activity area, vendors, fire truck tours, car seat check and lots of community information for free. The event is open to all families with children up to 12 years old.